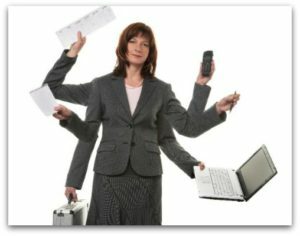 Too busy for marketing? I don’t think so. Twice in the last month and a half, I’ve had the pleasure and privilege of speaking before groups of market researchers – first in Philadelphia, then later in Chicago. With both groups, we discussed all kinds of ways for firms to grow their businesses without a lot of money, outlined a simple way to build a marketing & sales plan and much more. Great fun! Even when you’re slammed, if a client sends you a new project, you won’t respond, “sorry, I don’t have time to do that.” You’ll gladly accept it, right? When the project ends, you find the time to go through all the paperwork and send out an invoice, don’t you? Have a Monday morning staff meeting you never miss? Sure… it’s on your calendar. Pay the rent each month? Of course you do. My point is this… spending some time focusing on growing your business should be viewed with the same level of priority and importance as all of those other “mission critical” tasks you’re getting done now. Too often, the fallback position is a marketing plan (and I use that term loosely) driven by referrals and word-of-mouth. And there’s nothing wrong with referrals and WOM, but with them, you are relying on someone else for your success. Is that really a position you want to put yourself in? And in our industry, being too busy for marketing and not committing to an on-going business development effort almost always results in living in a “feast or famine” environment. And that’s miserable! So, does a commitment to marketing & sales mean you have to work even longer hours? Maybe. But it also might mean that you delegate it to someone on your staff… or delegate some other tasks so you can focus on marketing & sales… or outsource it. Whatever the choice… you MUST move your business development efforts to the top of your To-Do list. Remember… if you keep doin’ what you’re doin’… you’ll keep gettin’ what you’re gettin’!